Sebastian Stan is a Romanian-born American actor who gained international popularity for his role as Bucky Barnes / Winter Soldier in the MCU films such as Captain America franchise, Black Panther, Ant-Man and Avengers film series. He was nominated for the Critics’ Choice Television Award for Best Supporting Actor in a Movie/Miniseries for his work in the miniseries Political Animals. His notable work in films include Ricki and the Flash, The Martian and I, Tonya. Sebastian Stan was born on August 13, 1982, in Constanta, Romania. Stan attended the Rockland Country Day School in New York, where he participated in school productions including Harvey, Cyrano de Bergerac, Little Shop of Horrors and Over Here!. He then attended Rutgers University’s Mason Gross School of the Arts from where he graduated with a BFA in acting. He also studied acting for a year at Shakespeare’s Globe Theatre in London, England. Sebastian Stan has dated many women over the years, including his Gossip Girl co-star Leighton Meester from 2008 to 2010 and his Once Upon a Time co-star Jennifer Morrison from 2012 to 2013. From 2014 to 2016, he dated actress Margarita Levieva. 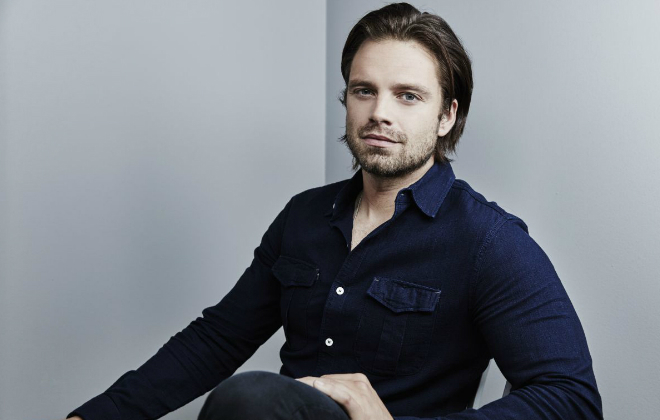 Sebastian Stan landed his first acting role in the 1994 Austrian drama 71 Fragments of a Chronology of Chance, playing a role of kin in the subway. Stan made his television debut in 2003 with a guest appearance in the police procedural and legal drama TV series Law & Order. He played the role of Justin Capshaw in the episode titled “Sheltered”. Playing Bucky Barnes / Winter Soldier in films such as Captain America: The First Avenger (2011), Captain America: The Winter Soldier (2014), Ant-Man (2015), Captain America: Civil War (2016), Black Panther (2018) and Avengers: Infinity War (2018). His notable work in television includes his role as Carter Baizen in Gossip Girl, T.J. Hammond in Political Animals and Prince Jack Benjamin in Once Upon a Time. Sebastian Stan’s net worth is estimated to be $4 million dollars. Born in Romania, Stan moved to the United States with his mother when he was 12 years old. His parents divorced when he was two years old and was raised by his mother and his step-father. He attended the Stagedoor Manor summer camp and took acting seriously. Stan became a United States citizen in 2002. He can speak in English and Romanian fluently. Stan voiced the character of James “Bucky” Barnes in the 2011 video game Captain America: Super Soldier.